What is the "NAM New PhD Session"? 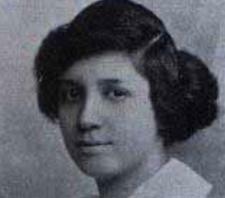 Martha Euphemia Lofton Haynes (September 11, 1890 -- July 25, 1980) earned her doctorate in 1943 from The Catholic University of America under the supervision of Aubrey Landrey with a dissertation entitled The Determination of Sets of Independent Conditions Characterizing Certain Special Cases of Symmetric Correspondences. 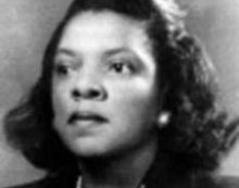 Evelyn Boyd Granville (May 1, 1924 -- ) earned her doctorate in 1949 from Yale University under the supervision of Einar Hille with a dissertation entitled On Laguerre Series in the Complex Domain. 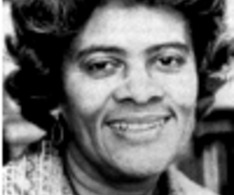 Marjorie Lee Browne (September 9, 1914 -- October 19, 1979) earned her doctorate in 1950 from the University of Michigan under the supervision of George Yuri Rainich with a dissertation entitled Studies of One Parameter Subgroups of Certain Topological and Matrix Groups. Each speaker in the Haynes-Granville-Browne Session is allotted 30 minutes, which consists of 25 minutes for the talk and 5 minutes for questions. Over the years, the Mathematical Biosciences Institute (MBI) has been kind enough to offer speaking awards to the best presenter in the Haynes-Granville-Browne Session of Presentations by Recent Doctoral Recipients. Historically, the award provides (1) a certificate, and (2) reimbursement for the winner's expenses to attend one MBI scientific workshop during the 18 months following the New PhD Session. At the 2015 JMM in San Antonio, we selected Pamela Harris (United States Military Academy) as the winner for her talk entitled On the Adjoint Representation of a Classical Lie Algebra and the Support of Kostant's Weight Multiplicity Formula. She attended the Dynamics in Networks with Special Properties workshop from January 25 -- 29, 2016. At the 2016 JMM in Seattle, we selected Nakeya Williams (United States Military Academy) as the winner for her talk entitled Modeling Head-up Tilt via an Optimal Control Approach and a Non-pulsatile Cardiovascular Model. Both of these award winners are currently listed on MBI's web site. reimbursement for the winner's expenses to attend one scientific workshop at any of the nine NSF-Funded Math Institutes during the 18 months following the New PhD Session. At the 2017 JMM in Altanta, we selected Deidra Andrea Coleman (Philander Smith College) as the winner for her talk titled A Bayesian False Discovery Approach to Syndromic Surveillance. At the 2019 JMM in Baltimore, we selected two winners, Anisah Nu'Man for her talk titled, Counting Rainbow Triples, and Alexander Barrios for his talk titled, Good Elliptic Curves with Specified Torsion Subgroup. Were the slides easy to read? Was the text on the slides legible? Were there grammatical mistakes in the presentation? Were the graphics of good quality? Did the slides accurately display the main points? Were the visuals relevant to the exposition? Did the speaker make eye contact with the audience? Did the speaker enunciate? Did the speaker address the audience clearly? Did the speaker field questions from the audience adequately? Did the speaker appear to have a solid grasp of the material? Did the speaker discuss the relevance of the problem to the mathematical community? Did the speaker state the main results clearly and concisely? Did the speaker introduce directions for future research? The winner will be announced during the NAM Banquet that evening. Speakers for the New PhD Session must be current members of NAM. We prefer speakers who have received their doctoral degrees in the mathematical sciences within the five years prior to the New PhD Session. We prefer speakers who have not given a talk in the Haynes-Granville-Browne Session of Presentations by Recent Doctoral Recipients in the past. Developing Non-Standard Finite Difference (NSFD) Schemes for a System of Coupled Second Order Differential Equations.